Over the past years there has been an increasing interest on behalf of both parents and teachers concerning ADHD, as questions about the issue have become more and more common. There is an easy access to plenty of information on line (although not all of it deriving from reliable sources); as a result, whoever is interested waist a lot of time looking for answers that might lack scientific background and therefore might not be accurate. www.i-paidi.gr was founded by a team of expert scientists whose field of expertise is ADHD. Their aim is to provide answers to parents’ and teachers’ questions through articles and emails and to support them with valid and practical solutions. 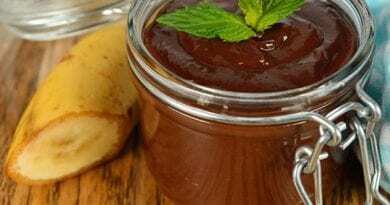 This exclusive interview of the president of the team Mrs. Marianna Lagoumidi to menoeuropi.gr and her chat with KostantinosSioubouras aims at giving the readers all the necessary information concerning this innovative site. It is a web site with a team of experts, professionals and scientists that focuses on children with ADHD. It provides answers to all the members’ questions, scientific articles for children with ADHD, behavior strategies and tips for parents and teachers, special recipes for those children! It also provides the chance to have a conversation with experts through skype! Moreover, it gives discounts for particular services all over Greece, such as holidays, entertainment and books. Finally it promotes competitions with interesting prizes concerning entertainment, theatre, books and holidays! What are your targets and how would your members benefit from them? About 6-9% of children are born with ADHD and up to 55% face ADHD issues due to external reasons. Imagine, for instance a 10 year old boy whose mother has just had twin girls! Another example can be the 12 year old siblings whose father loses his job as a company executive member. Parents of children with ADHD need daily support: about food, school, leisure activities, friends and so on. Teachers and other professionals who have to do with children with ADHD have issues and need answers to their questions constantly. These answers are provided by the appropriate specialized member of this group. Our research has shown that these families need: prompt theoretical support and communication, with hands-on examples, practical solutions and dealing from expert professionals who are able to face the various aspects of the reality of these children. The working team of www.i-paidi.gr gives free information to the parents who might need support: with behavior tips towards their children, with training for the over-active child, with names and addresses of experts, with events appropriate for children with ADHD. What are the aims and the vision of your business? 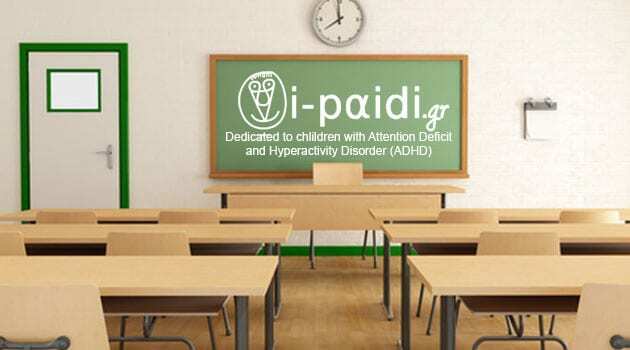 www.i-paidi.gr wants to help the thousands of parents with children with ADHD aged from 1 to 12 years old in their daily life. We want to provide our support. Children with ADHD have so much potential but eventually they get to use only a small part of it for their educational development. On this site parents can find the necessary material for their children so that not only will they be able to cope with ADHD, but they will also manage to reach their goals successfully. www.i-paidi.gr is a challenge. By providing constant and valid support to parents of children with ADHD in a friendly and reassuring way, it helps them feel that they can have a supportive and expert ally along their way. Do you think that Greece gives valid motivation for new enterprises? How long did it take you to found your business and did you ever consider giving up due to bureaucracy, lack of funds, taxes and so on? “Don’t tell me you want to start a business in Greece” is a cliché nowadays! Why? It was impossible to get help and information – especially if you do not have comparative elements…because you are the first, there was not even a code at the Taxes Office for the initiation of the business. You start from scratch, you have to put up with the stress and anxiety of the whole thing, deal with the daily economic issues, you go to offices and clerks cannot help you with your problems, it’s hectic! If I had moved to Houston for example, I was offered a position there, www.i-paidi.gr would have already been a famous site. But I am a romantic! By the way, yesterday I was contacted by the owners of a Chamber of Hotels with a garden. They offered to become sponsors of the site and to give a 50% discount to families registered with www.i-paidi.gr!!! What we will do is advertise those Hotels to countries all over the world! Looking back, is there something you would have chosen to do differently? How do you see yourself in 5 years from now? I like to focus on the present and the future! The past just teaches me and makes me wiser. For instance it has taught me to be more careful with my partners, and not to trust everything they say. Just one year after westarted this business we are proud to have partners such as (MINETTA, IASSO PAIDON, Leamington Spa Summer School, ATTIKO COLLEGE, I.SIDERIS PUBLISHING, we24, THE RUNCH, ELLINOFONIA, EIRINI PLOMARI APARTMENTS, KEAK). In the following weeks and the following years the World Wide Services Site for children with ADHD will also be established. In 5 years we will be satisfied because we will be collaborating with scientists and experts from all over the world and we will be able to cover the 55% of children with ADHD all over the world. i-paidi.gr is the web site with a team of experts, professionals and scientists that focuses on children with ADHD and gives answers and useful tips to anyone who might need them. Through emails or articles we provide support for parents, teachers and students. We offer practical and valid advice as well as the chance to have a dialogue through skype with our experts. We offer free experts such as speech therapists, pediatricians, psychologists, educators so that parents can feel less anxious. Moreover, we have special discounts for selected business areas connected to holidays, entertainment and books, all over Greece. Prompt diagnosis and ADHD management, from pre-school age.